We all know about the kids who win many tournaments at the age of 12. We can view this success on the sidelines generating those proud parents who think their son will be the next Roger Federer and their daughter the next Maria Sharapova. There are so many of these young juniors across USTA- and ITF-sanctioned tournaments that show that kind of promise. The truth, however, is only very few of them will make the top 100 at the professional level. The younger the player is, the less significance of the relationship between junior success and professional success. According to research done by Peter D. McCraw in the ITF Coaching and Sport Science Review, only 58 percent of players who were in the top 10 in the world in the ITF Junior Rankings between 1996-2005 made the top 100 on the ATP Tour. So why do many successful juniors fail to make it a success in pro level? 1. Parents mismanagement: If you embrace the concept that the CEO of a company or the President of a sports team is responsible for the business plan and ultimately the results from that plan, then it is not hard to understand that the same correlation exists with tennis parents. I have seen so many parents intervening in their players' career (believing and trying to help), but the lack of expertise and objectivity ultimately leads to their downfall. The reason is very complex and the critical decisions that need to be made require years of experience and good judgment. Every player is unique and therefore, the path to success is different for each. Making a long-term plan and managing it requires expertise. I really think that to manage a career, you should have decades of experience and even a multigenerational disposition would help. It is no coincidence that Andy Murray had Judy Murray, Rafael Nadal had Toni Nadal, Alexander Zverev has a pro player brother and a former pro father and coach, and I can name so many more top players who are managed by a lifetime tennis guru. There is a direct correlation between these individuals and the success of their prodigal children. They understand the game and are patient, amongst other things. 2. A lack of financial planning: Parents should also have a financial plan for their player’s tennis career. When the parents of a successful junior player lacks resources, it can become an overwhelming challenge. Unfortunately, when the parents are looking for some financial help, the help usually comes from the places that may not be the best fit for the player. Local champion juniors are a source of revenue by academies by promoting these players. Even clubs, coaches and federations enjoy touting their new young stars. Unfortunately, these entities/individuals want to control your decisions and they make short-term decisions that benefit them in the short-term, while affecting the long-term prospects negatively for these young players. These are decisions that cannot be cured and are not in a young player’s best interest. If you lack a financial plan and are dependent upon other parties, you may be subjecting yourself to being exploited. 3. Lack of proper technique: I think there are two very critical phases in the development of a player: The first is when the technique of the shots are formed, and the second is the transition from junior to professional tennis. During that time frame, it is recognized that this is where a player develops their weapons and an overall game profile that will last an entire career. When you watch videos of the top pros in their 12U and 14U tournaments, you see very little change in their technique, if any at all. Just watch YouTube videos of Rafael Nadal, Roger Federer, Simona Halep, etc. and you will see their technique and other fundamentals, such as the split step and crossover, already established. Consequently, one of the reasons why some very successful juniors fail is because those fundamentals are lacking in early development and a complete lack of proper technique. In most cases, this type of failure comes from the fact that the player is a good athlete and wins a lot of early tournaments. The parents and coach put all the emphasis on winning, and are afraid to risk the chance of losing at an early age while negatively leveraging the development of proper technique. Thus, the player doesn't develop good technique and it becomes too costly in the following years to fix. 4. A lack of weapons: When you are a junior and you do have a balanced game, you still may win a lot. But to succeed in pro tennis or to survive in the top 100, you should have weapons that will be sustainable at that level. This is crucial. The period that you develop weapons starts after the coach forms good technique at an early age. After having proper technique, every player will have natural tendencies to use specific shots that will stand out and make them a better player. When the coach focuses on these shots, weapons are developed. If the coach focuses on only deficiencies, it becomes very hard to develop weapons. You get a mediocre overall player and a recipe for failure at the pro level. 5. Natural selection and genes: When you take a walk at one of the Grand Slams, you will see that the body type of players are alike, especially on the men’s side. It is no coincidence. They are explosive in nature and their musculature will tell you about their ability to “explode with power.” This is very important because explosiveness and speed are genetic, and you cannot improve upon them in any significant way. They are in one’s DNA. If you don't have the right genes, when the game speeds up, your results will slow down. 6. Failure to build the right mentality: Tennis is an individual sport where you are under constant pressure and there is no one to share it with. It is one of the few sports that you don't play against time, which always keeps you under pressure no matter what the score is. Whether it is the juniors or the pros, once you get closer to the top, the differences between players' levels shrinks. So the way you play the key points make all the difference. How you handle the pressure and how you play in the key points has a lot to do with who you are and how your mentality was/is formed. The parents and coaches who create external pressure based on results and not effort, form players who are tense and lack the courage in key moments. 7. 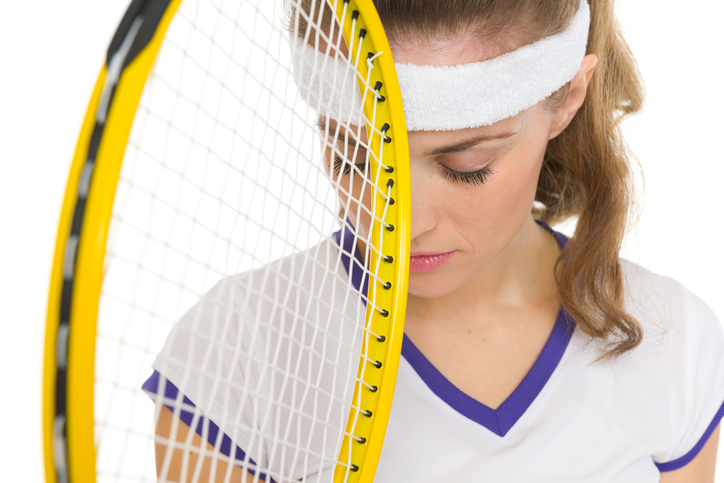 Burned out and building low intensity: Tennis is not an early specialization sport such as gymnastics or figure skating. Most of the players who have made the top 100 started tennis around six-years-old. So it takes, on average, almost 20 years to break into the top 100. One of the biggest reasons for failure is overtraining at early development stages. The research done by Piotr Unierzyski tested 1,000-plus junior players from more than 40 countries. Among them were Roger Federer, Kim Clijsters and Justine Henin. The average age of the players was 12-13. The players who made it to the top practiced around 10 hours per week at that age. Very long hours of practice will cause two things: Early burn out physically and mentally, and building of low intensity. Tennis is a sport filled with high intensity. If you keep a player training for long hours, they will pace herself and build a low intensity which will be costly down the line.